With Easter just around the corner it's a good idea to start thinking about how you will dress your baby. While they may be too little to hunt for Easter eggs or eat chocolate candy, they aren't too young to be a part of the celebration. A 'My First Easter' outfit is a great way for even the smallest of infants to be a part of the Easter festivities. Babies are only small for such a short period of time. It's lots of fun to grab every opportunity to take cute baby pictures. 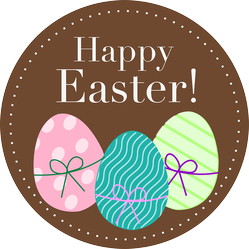 Easter is a great time to dress your little one up in a 'My First Easter' outfit and make the holiday extra special. There are many different ways you can dress your baby up for Easter. Bunny themed footed sleepers can be worn for both sleep and daytime wear. Easter onesies can paired with other clothing you own to create a fun outfit. Or you could buy a matching bodysuit and pant set with a cute Easter bunny theme. If you're not too sure about the clothing, then you could choose a bunny hat and booty set and instantly make any outfit into an Easter outfit. A pair of Easter bunny pajamas is a great way for little babies to celebrate Easter. Carter's has adorable Easter pajamas for boys and girls. Both sleepers have bunny feet and an Easter bunny peeking out from a sign that reads 'My First Easter'. For boys there is the blue and white striped set and for girls there is a pink and white polka dotted set with little bows up the front. Available in 3 month, 6 month and 9 month sizes. Carter's clothing runs true to size but the sizes mean 'up to' the size. For example, the 3 month size would be for babies 0 - 3 months. The bunny bunting gown set by Jacqui's Preemie Pride would make a perfect 'My First Easter' outfit, Halloween costume or take home outfit from the hospital. The outfit is made with soft knitted cotton to ensure that it's cozy and comfy for new babies. The bunting gown has fold-over mittens for protection, a closed bottom for warmth and embroidered carrots down the front. The matching hat has floppy bunny ears lined with pink satin. Available in four sizes: Micro Preemie (0 - 3 pounds), Small Preemie (3 - 6 pounds), Small Infant (5 - 8 Pounds) and Newborn (up to 12 pounds). 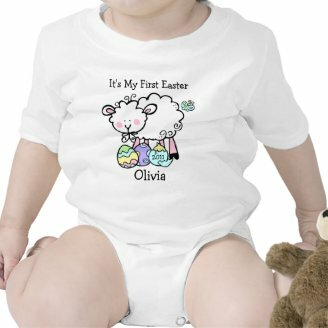 The Little Lamb First Easter bodysuit by Pink Ink Art is a cute option for your baby's first Easter. 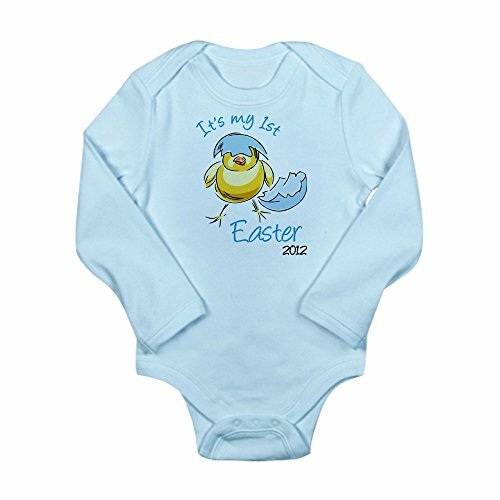 This onesie has a cute baby lamb, painted Easter eggs and a baby chick hatching from an egg, all beautiful Easter symbols. 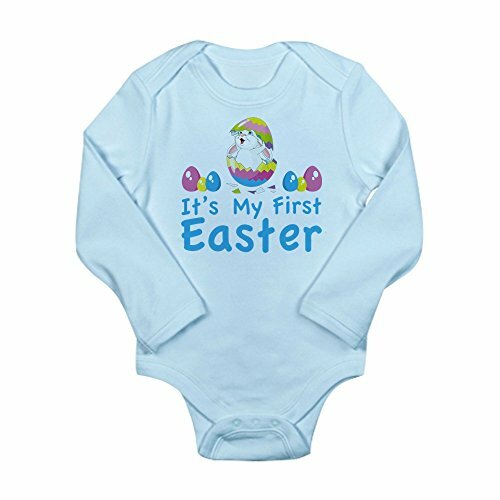 The bodysuit can be customized so you can add your baby's name, the year and even change the 'It's My First Easter' part to say whatever you like. 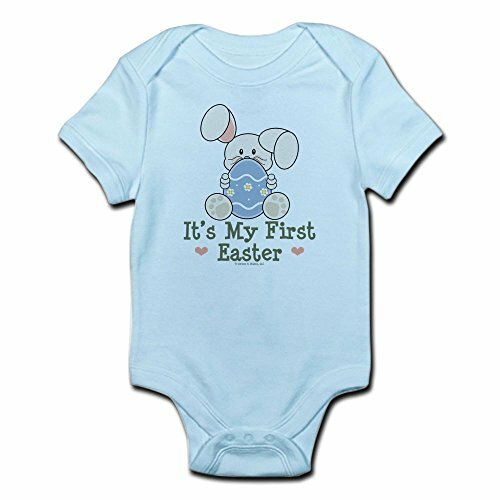 This Easter onesie is made from 100% cotton and is available in white, grey, pink or light blue. You can order in 6 month, 12 month, 18 month and 24 month sizes. There is a size chart available to help you select the correct size based on weight, width and length. Another cute 'It's My First Easter' bodysuit is the Easter Bunny bodysuit. 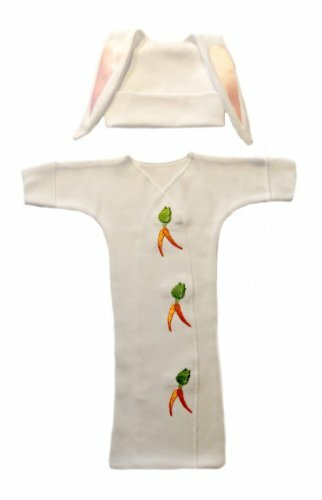 This cute onesie has a little bunny holding a large painted Easter egg. This 100% cotton bodysuit has lap-style shoulders for easy changes and snaps at the bottom for quick diaper changes. Available in four colors: Sky Blue, Petal Pink, Kiwi and Cloud White. Made for babies and toddlers in 0 - 3 months, 3 - 6 months, 6 - 12 months, 12 - 18 months and 18 - 24 months sizing. It's hard to resist baby outfits with cute animals on the bum. That's what makes these little Easter outfits from Carter's super cute. The pink set for little girls has a white bodysuit with pink trim, a little bow at the neck and the caption 'Somebunny Loves Me'. That matching pink striped pants have an Easter bunny on the backside. 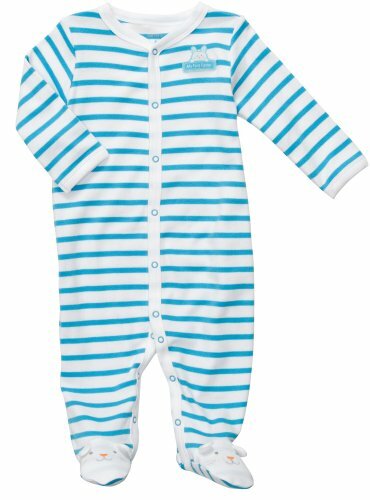 The blue set for boys has a striped onesie with blue trim and the words 'Happy Hoppy Easter'. The blue pants also have an Easter bunny on the back. Available for babies in 3 month, 6 month, 9 month, 12 month and 24 month sizes. Sometimes a bunny hat and pair of booties are all you need to transform any outfit into a 'my first Easter' outfit. 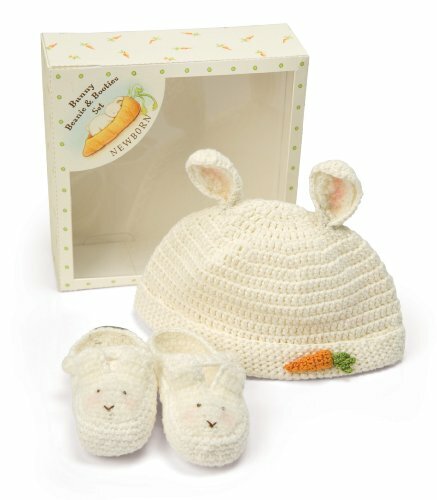 This darling little cream colored set includes a 100% cotton crochet bunny hat with little ears and a carrot stitched to the brim. The matching crochet bunny slippers have cute little faces near the toes. This set is made for newborn babies up to 3 months and comes packaged in a gift box. Hand washing is recommended for this product. A cute selection of baby outfits for Easter celebrations and themed newborn photography. A cute selection of bunny and chick themed Easter outfits for baby girls. Bunny themed outfits for baby and toddler boys. Easter Bunny pj's for little boys and girls. Cute Easter outfits for babies and toddlers including casual wear and formal dresses and suits. These are so very cute!!! Pinning them all onto Gifts for Babies and Toddlers.